First edition of Beaton’s Fair Lady, a witty compilation of his personal diary entries recorded while managing the costume and set design of the 1957 Warner Brothers film starring Audrey Hepburn. Octavo, original half cloth, illustrated throughout. Association copy, inscribed by the author to actress Vivien Leigh on the front free endpaper, “For Vivien With Blessings from Cecil.” Beaton met Vivien Leigh on the set of The Doctor’s Dilemma in Edinburgh, Scotland in November of 1941. He was working as a photographer for Vogue magazine at the time and after attending the play took the first of what would become many iconic portraits of Leigh. The two became close friends and Beaton was a regular guest at Notely, the home of Leigh and her second husband, Oliver Stone, which was notorious for its large parties. Throughout the next decade Leigh, Stone, and Beaton worked on a number of films together including Anna Karenina and The School for Scandal. The friendship became strained as Beaton grew increasingly jealous of Leigh’s continued success. Cecil sent Leigh this copy of Fair Lady as a peace offering in 1964, they had not spoken in over ten years. The book was found among her personal belongings after her death from tuberculosis three years later, although it is unknown whether or not the friendship was ever repaired. Near fine in a near fine dust jacket with a few closed tears. Jacket design by Cecil Beaton. An exceptional association copy. One most eminent society portrait photographers, set, and costume designers of the 20th century, Cecil Beaton published over thirty books throughout the course of his lifetime including books of photography, satirical fiction, and personal memoirs. He received the 1957 Tony Award for Best Costume Design for the Broadway production of My Fair Lady, and was asked by Warner Brothers to lead the costume and set design for the 1964 film of the same name. 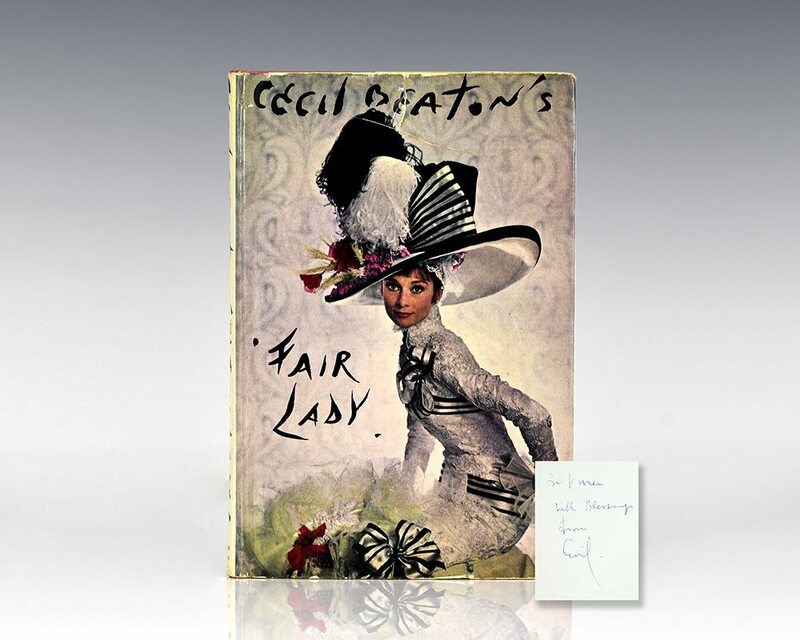 Cecil Beaton's Fair Lady is a compilation of Beaton's daily diary entries recorded on the Hollywood set.